"LINKS ...to Main MG sites"
This Page provides the Viewer with Links to relevant MG car Clubs &	International Affiliations. Follow that BLOG! The SCHOEPPER's & KAUFMAN's taking the "long way home" from RENO. Click on the MG's Only’ button here. To be taken to their BLOG SITE of their adventures. This group is the MG Clubs starting with the International Affiliates. Please click on the logos to the left to visit these sites. events in our region & in N.A. This is a UK based MG Car Club. The MG Car Club has been established for 76 years - we have the experience and know-how to help you enjoy owning and running your MG. 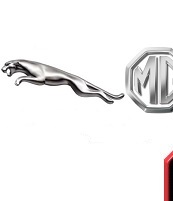 The UK MG Owners Club formed in 1973 to serve the needs of the MG sports car enthusiast. Over the last 35 years the MGOC has concentrated on making it easier, cheaper and more enjoyable to own an MG. They have the reputation of being the World's largest single marque car club. Thank you for your interest in the MG OCTAGON CAR CLUB based in the U.K.; if you own a pre-'56 M.G. or are just interested in pre-'56 M.G.s then perhaps this is the club for you. This group of MG Clubs are those located in the Pacific N.W. and Canada. The Northwest MG 'T' Register is a group of T-series MG enthusiasts in the Puget Sound region of Washington State. They welcome everyone with a love of the marque. The purpose of the Columbia Gorge MGA Club is to encourage the preservation, ownership, operation and enjoyment of any of the MG models, to provide events and exhibits of MG's. Centered in the Puget Sound region of Washington, we offer a wide range of driving and social events, services for our members and a network of products and services focused on the needs of the MG enthusiast and their family. Club "T" MG located in the Portland area is dedicated to the maintenance, preservation and enjoyment of MG cars. Started in the early 1960's by a group who wished to share their mutual interests. Today, the club has grown to include anyone interested in MG cars, no matter what year or model. It is not necessary to be an MG owner to become a member. The Calgary MG Car Club started in 1979 and serves about 100 members. The main purpose is to enhance the MG British style of motoring, and the preservation of the MG marque. Welcome to the MGCCT website. Our website serves to keep our membership linked and informed far beyond the borders of the Greater Toronto Area. There are 3 major ABFM events and many other Multi and Single Marque Clubs in the Pacific N.W. To browse their sites Link here.